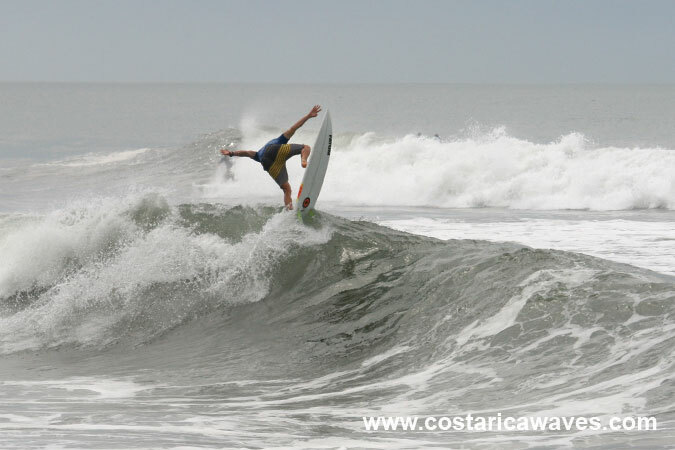 This is another popular surf spot at Playa Hermosa, which is easy to find. 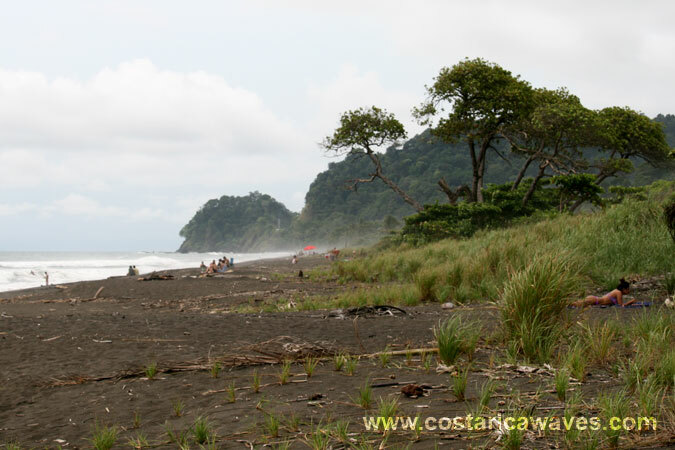 Drive to the South on the gravel road along Playa Hermosa till you spot a big almond tree (Almendro) with several cars parked below. When you are lucky you might even spot some scarlet macaws in the canopy. 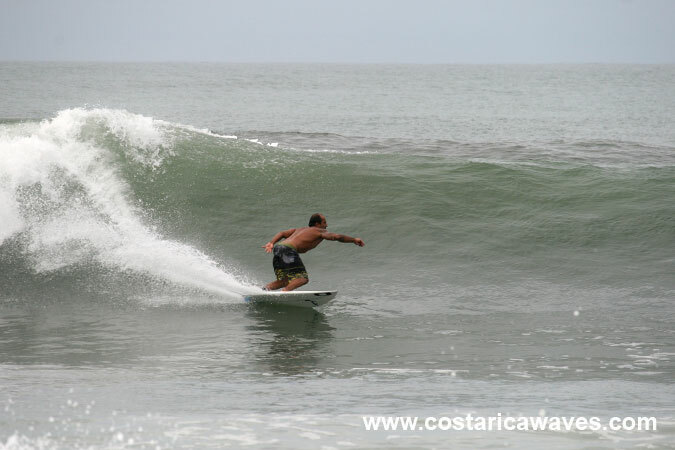 This is a popular spot that creates beautiful waves with bigger swells, 7 to 9 feet. 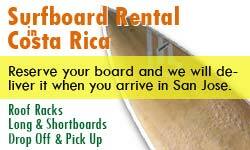 It works with swell from the Northwest, but is better with swell from the Southwest. Best conditions are during mid rising tide. 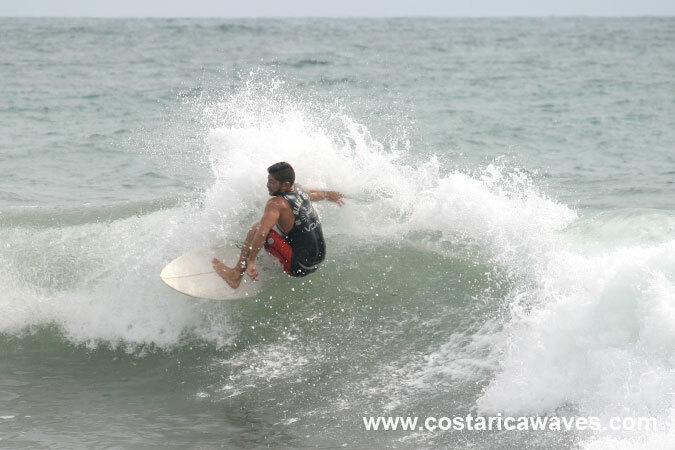 This is one of the most popular spots of Playa Hermosa, it can get crowded with surfers. This surf spot in Playa Hermosa is named after the big almond tree (Almendros). Choppy surf conditions at Almendros. 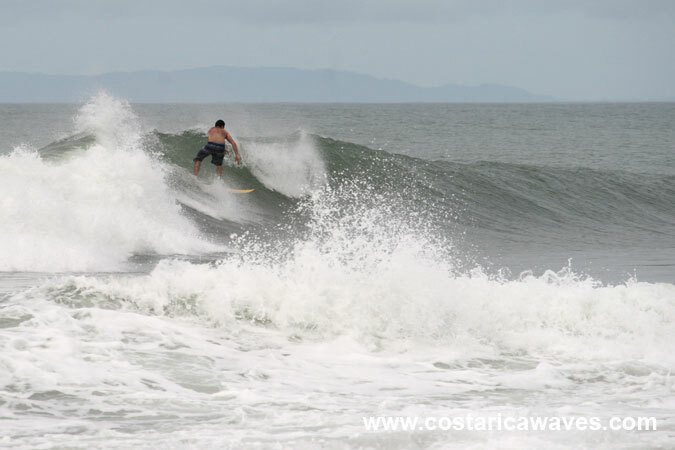 A surfer catching a left-hander, in the back the Nicoya Peninsula is visible. Thomas Lange launching of a wave in Hermosa.